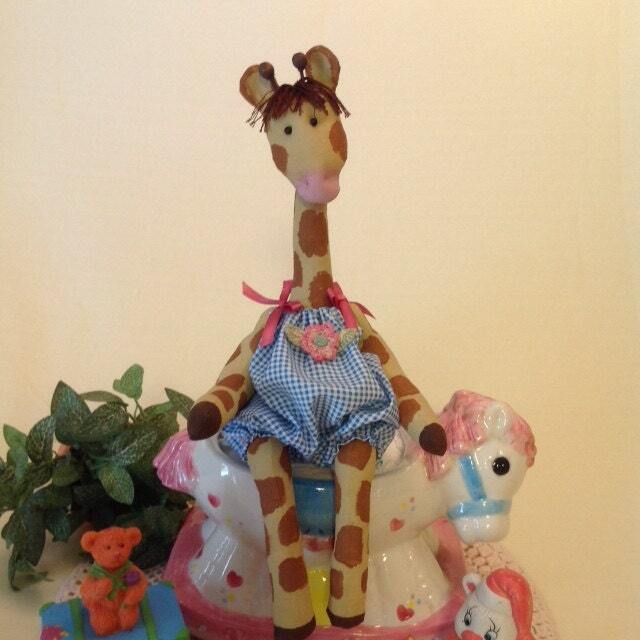 At only 12 1/2" inches from the bottom of her feet to the tips of her ears and only 9" seated, this adorable little sitting baby girl Giraffe Cloth doll e-pattern is not one of the tallest Giraffes in the zoo but probably the cutest!. 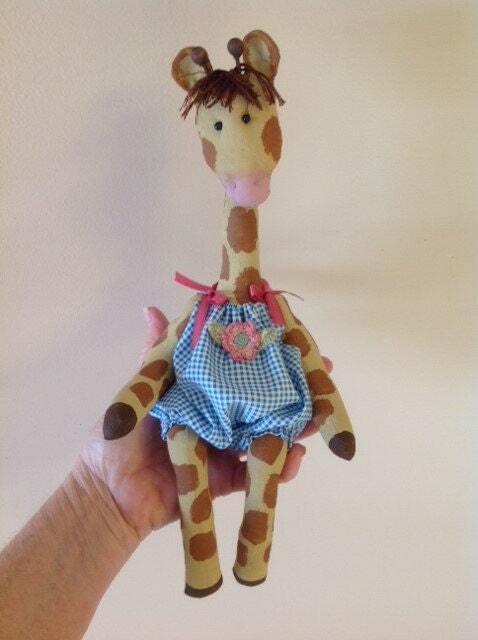 This adorable little giraffe doll is 1 of 5 new designs in a new series of patterns I call; Sue's Zoo. 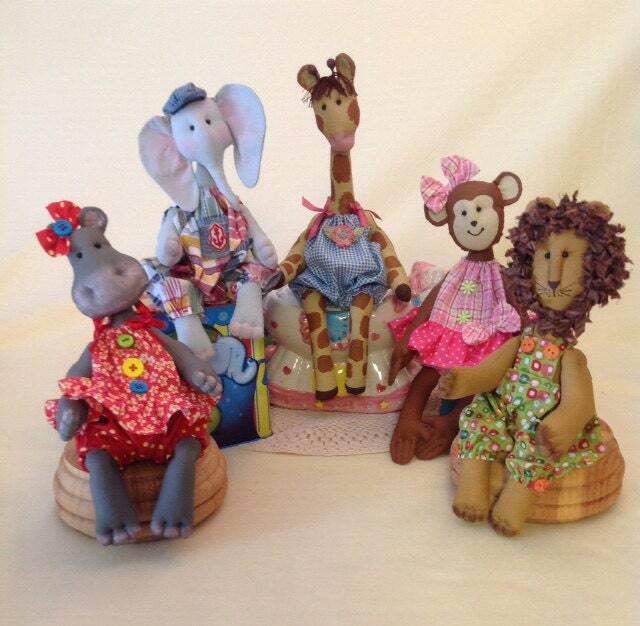 You can order 1 design at a time or order the entire collection of patterns priced so you are getting 1 free pattern. Available in a separate listing. 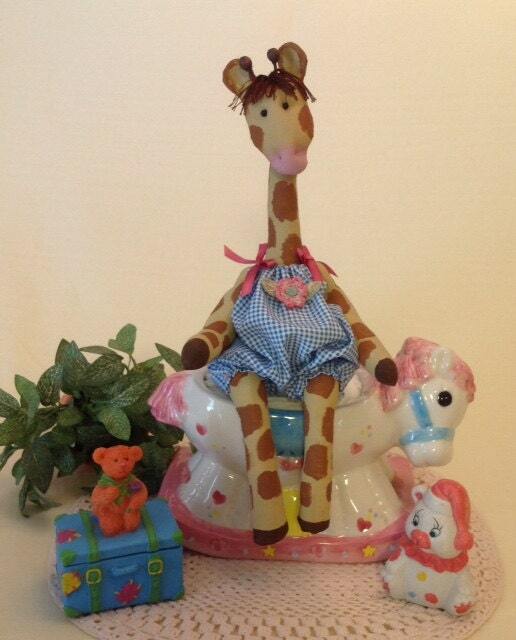 Either way, I certainly hope you like my new baby zoo collection. 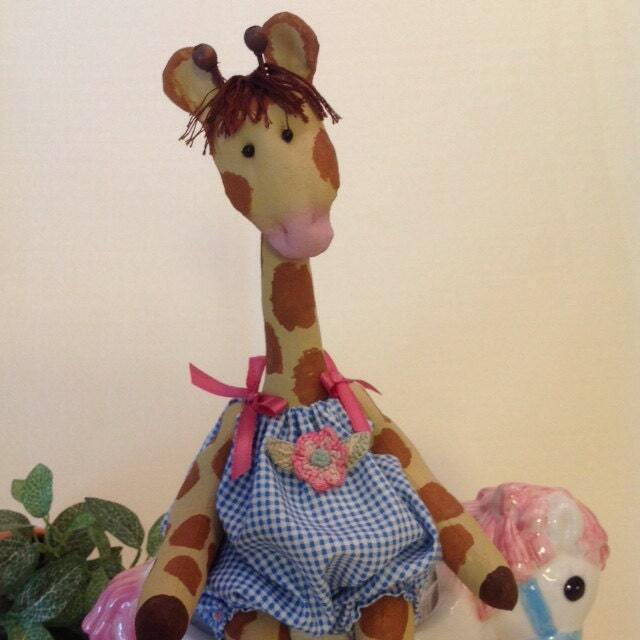 The PDF download includes easy to follow instructions, doll body and clothing patterns, and a complete suggested materials list. Learn my simple painting technique on this easy to make doll. Can't wait to make this! Love it! It´s so beatiful!!!! I am going to buy more! !